Thread: TZ Cycling/Bike Appreciation thread! ^^ hope it does not put you off... You have a smaller contact patch on a road bike and with frosty or thawing roads plus maybe extra risk of diesel on roundabouts you cannot lean them as much as you might be used to on your mtb..
Decided to buy new as I wasn’t sure what size I needed and didn’t want the hassle of buying a second hand piece of junk. had it a week but only managed to go on it today,never had a road bike before,I new it would be an harder ride than the mtb,also found out that they don’t grip like an mtb,when I lost the front end on a roundabout,nothing broken but the knees and wrists are sore. Just picked up a little project in advance of summer. Wanted this exact model for years! Photo taken immediately after purchase. Starting to think about a few minor tweaks and the optimum set up. Last edited by Progressive; 21st January 2019 at 10:24. I remember when they came out - almost futuristic with the carbon ‘lugs’. Just need to bleed the brakes and the dropper, sort out the fork and helitape the steerer tube and it’ll be good to go. Such an easy build - external cabling, threaded BB... the toughest thing has been getting the tyres to seat tubeless (I gave up and stuck tubes in for the moment). It's mainly what's on the roads that makes them slippery. In particular the grit that's used. It leaves a greasy residue, especially that stuff with molasses in it. Then there's loose material, leaves, algae, & Diesel fuel on corners. If it wasn't for this, the traction is pretty good. Also you can't hydroplane a bike tyre. Picture below is from last week, on a purpose built cycling circuit which is ungritted & has had no vehicles on it. It's been raining & the Tarmac is still wet. Tyres have 112 psi of pressure in them & I'm going around a hairpin at about 27mph. It felt plenty grippy enough. My thoughts exactly. I bought a cheap drop-bar to compete in sprint triathlons this last year, and while it is fine for that I much prefer the riding style and comfort of MTB for my part-offroad regular commute. The roads around here (Dorset) are so utterly pants and the drivers selfish and impatient, that you can't be watching the road all the time on a skinny-wheeled bike, just takes all the fun out of it. MTB all the way for me. [QUOTE=trident-7;5002033]It's mainly what's on the roads that makes them slippery. In particular the grit that's used. It leaves a greasy residue, especially that stuff with molasses in it. Then there's loose material, leaves, algae, & Diesel fuel on corners. If it wasn't for this, the traction is pretty good. Also you can't hydroplane a bike tyre. and if you lowered your pressure you would have less rolling resistance. high pressures only make sense on billiard table smooth velodromes. get down and look at tarmac, its actually very rough and if you get really close it’s just like a mountain range with many peaks and troughs, lower pressures (and high TPI carcasses, tubs or tubeless) mean the tyre can deform easily instead of bumping over the micro sized lumps of tarmac which is not energy efficient. the days of 22c’s pumped up to the max are gone, they belong in the past with the steak and eggs for breakfast on raceday, EPO and right angled cranks. bigger deformable and more compliant carcasses run at lower pressures mean less effort and more speed, they are even more aero if the wheel rim is designed to work with a fatter tyre. Cheers! It's above Wessenden Head and not far from Marsden in West Yorkshire. 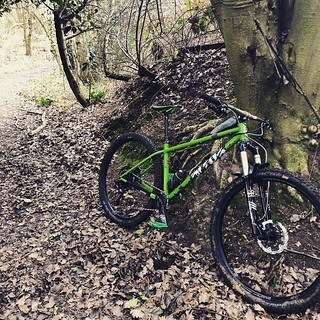 The other bike is my mates Transition Scout Carbon. Just thought I’d introduce myself here as this is more likely where I’ll fit in as bikes come first, though I’m finding a similar addiction in watches now as I enjoy the machinery and mechanics of both. Been a keen rider for a long time and will ride pretty much anything on two wheels as the photo above shows. Road tripped with mountain bikes all over (NZ, Australia) and had some great climbing “holidays” on the road bike (Italy, France, Spain, Austria). Very comfortable with the mechanics of these simple machines and have built and modified a range of bikes over the years, almost feels like the tinkering is more of a hobby than riding at times. I’ve only really just come to terms with the fact I’m also a fan of watches and really enjoying the research phase at the moment and seeing how deep the rabbit hole goes!! Not sure I’ll ever build a big watch collection (currently only have two, Tissot and mondaine and both with sentimental value). I have one or two watches in my sights but can also see myself tinkering and modding a few as the passion grows. In the meantime I’ll be riding whenever I can and enjoying this new phase of watch appreciation. It is. Are you from around there? I'm around 8 miles away as the crow flies. I enjoy my bike lair, though it pales on their old location where I had a whole room for them. Sadly I’ve just sacrificed that space to be a kids play room instead of my play room, the joys of parenthood. Made some progress on my old school summer bike this weekend... New saddle, seat post, cables and bar tape. Looks a bit fresher now. Not too keen on the red tires (nor the 23c width) but they’re brand new Continental GP4000’s. Seems a bit daft to scrap them. Last edited by Progressive; 10th February 2019 at 18:29. Above average height, long legs but short upper body! Makes my bikes look ridiculous but (kind of) works alright! Always a good sign to see lots of seatpost showing, Im from an MTB background and I shudder to see riders with 50 mm showing and completely stretched out to the bars. But MTB sensibility’s mean nothing on road bikes. 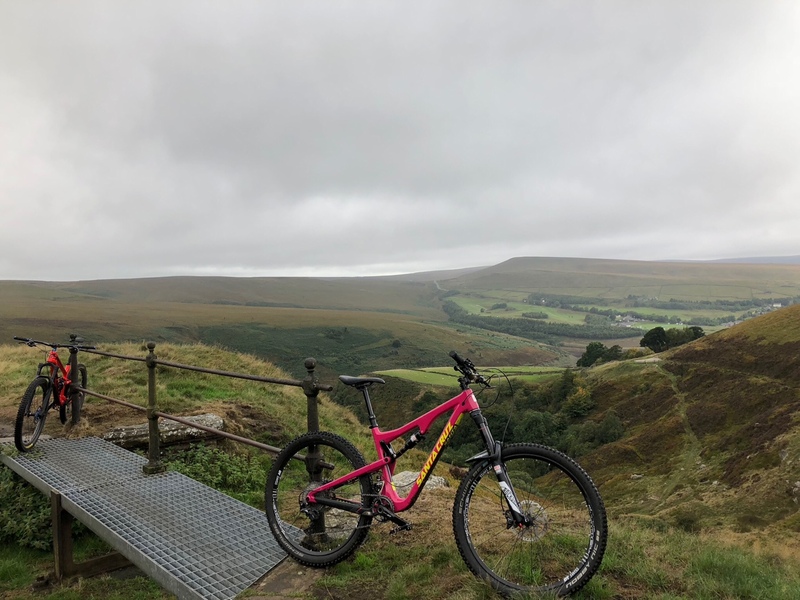 as somebody who rides both I will readily ride a MTB on the smaller side and get the benefits on the twisty stuff but with a road bike fit is paramount and because a lot of frames are now sold with fairly large gaps in between sizing there is more likely to be more or less seatpost showing. Even with 1cm increments you can end up with lots or very little post. Whereas I, at around average height, ride a small road bike and large or extra large mountain bike (typically look for 590mm ish reach). As a mountain biker at heart, I have experimented a lot to get to this set up. The stability the extra length gives you when flat out through the rough stuff, or in the air, is game changing. Confidence grows massively since the attitude of the bike is far less affected by the rider pitching forwards and back on top. A small pay off when in the tight stuff inevitably but easily overcome with some exagaeratted body English I find. As for the small road bike, well I've no idea on that one. Tried a 52cm frame expecting it to feel cramped, but it doesn't. Just very responsive. Maybe I could go up a size but I am far less fussy about the road bike. Just goes to show that we each need to try these things ourselves to find what works best for us. You'd make a good Tester with that morphology. Has anyone ever bought a Canyon bike and not waited 6 months for one? I'm looking at buying a gravel type bike with wide(ish) tyres that will cope with our crappy roads and the odd blast through forest trails. The aluminium Canyon Grail looks to be very well spec'd but has a long lead time (around 5 months). I would rather walk into an LBS and try a bike and ride it away a couple of days later but from recent experience, the LBS' very rarely have stock in the size you want. 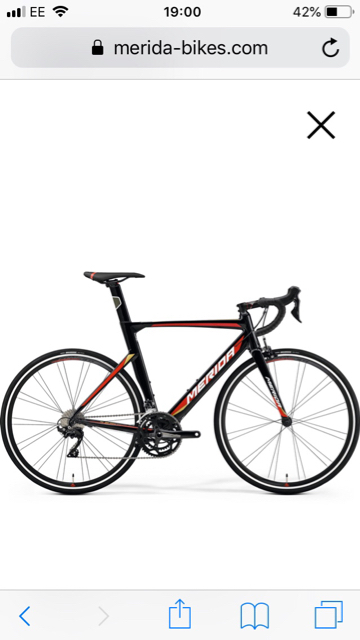 I've looked at the Specialized Diverge but the spec. in comparison with the Grail is stingy to say the least. The geometry between the two is very different too. The welds on the Canyon look like they were done by day 1 of welding school though. They're huge. The likes of the Boardman ADV8.9 look almost like a carbon bike with smooth welds in comparison to the Canyon. Can't help on Canyon lead time. Have ridden a Diverge extensively tough, and despite the relatively modest spec found it to be a very comfortable and deceptively quick ride. Has anyone ever bought a Canyon bike and not waited 6 months for one? No personal experience but plenty of anecdotes. Delivery really relates to stock and availability. Plenty of stories of bikes within a week if they’re sitting in a warehouse in your country but if there’s new/transition models you’ll be waiting. I believe the canyon gravel bikes are a pretty new model so still getting stock sorted. As an alternate option how about one of these https://www.cannondale.com/en/USA/Pr...4-08b7d8ceda67. Certainly ticks the all boxes as far as I’m concerned and will be a high contender when my commuter needs an update. I've seen that Topstone in IRL. A very interesting concept! It's a mix of all useful elements of various types of bike. Worth checking it out. I've seen the Sora model in green but it was the wrong size. The 105 model with hydraulics is in short supply as well. Some online retailers are quoting June 2019 for delivery. I intend speaking to my LBS about the Topstone. I think the main differences between the Sora and 105 models are the 105 model has better wheels and different tyres. I did consider buying one of the base model E5 Diverges or something like the Topstone Sora and then upgrade the bits as they wear out. I am not a fan of mechanical discs but people reckon that the modern ones aren't too bad but hydraulics are just better. I think Decathlon are about to launch a gravel version of the RC520 but it has the hybrid hydraulic system. A BSA bb as well! Unusual and welcome from Cannondale. Have you looked at Planet X - they seem popular on the CX scene is an inexpensive starting point? They have SRAM 1x drive which seems the way things are going - I have it on my cross bike and really like it. As a previous customer (and a happy one at that) I have just been sent a discount code for Stolen Goat clothing. Watches have broken the bank at the moment, so I'm not going to be buying any more cycling stuff for a while! £10 discount. Single use. Valid for purchases over £50. If this is of genuine use to anyone, then please pm and I'll forward the code. That Trek looks lovely, what year is it? unfortunately the genetics i was dished out have not produced a engine to match! i used to ride socially with some 1’s 2’s and an age cat winner of the Bec hillclimb and if i had a good run of a few months uninterrupted training miles i could hang with them but it was accepted i never did much work on the front. got dropped on many ride but they really improved my fitness. i would only ever be a mid pack cat 4 if i ever raced. 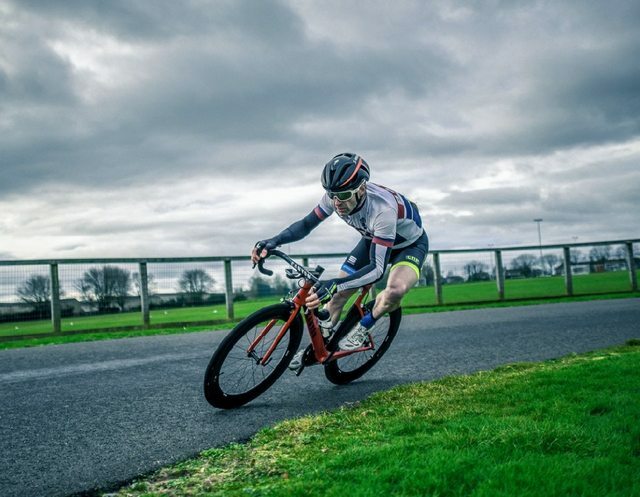 My old flatmate is lead coach at Lee Valley velodrome and did say i would do well on hilly time trials but i never fancied proving him right/wrong. cycling is my stress release so racing never appealed the fitness and social side or having my own targets is enough for me. Nice machine. Good to see a bike with decent gearing, I don't know how folks ride the bikes I see with a tiny single chainring. The new 12 speed single front ring are supposed to be very good and give you 90 plus percent of a 27 speed triple. The main advantage is a simplified chain line eg just one ring. BUT the rear spider / cassettes are massive. Not really a bike but close enough I think for this thread. Picked up a Mountain Trike off-road wheelchair for my wife a few weeks back. Tidy bit of kit and really well thought out. 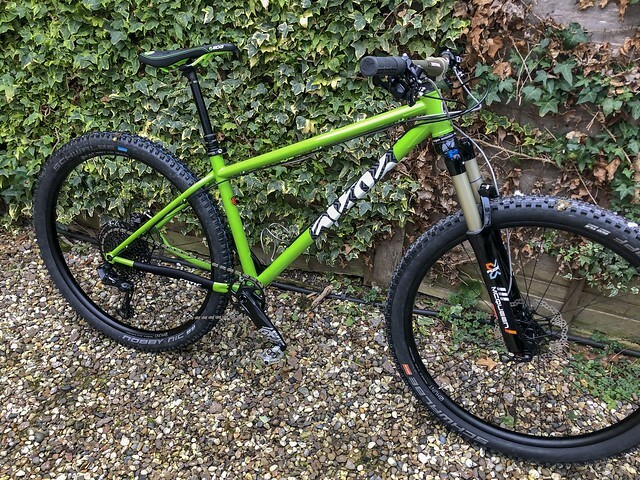 Has 3 RockShox Monarch shocks, hydraulic brakes on both wheels - both calipers controlled by 1 lever, 24" MTB wheels & tyres and a 12 wheel at the back for stability and steering. Currently gearing is 22t/22t so quite sedate - spoke to Mountain Trike and am changing the front rings to 26t for a bit more speed and still keeping decent hill climbing ability. Last edited by Chris W; 2nd March 2019 at 22:50. I'm still on 24 speed, XTR/XT mix with Suntour XC Pro thumbies, with an 11/28 cassette and 22/34/44 up front. I've been looking into updating the gearing on the bike, built on a Kona HeiHei ti frame with Pace rigid carbon forks, I'm looking at a 10 or 11 speed double. I fitted a ground anchor for a pal in his garage recently to lock his Thorn tourer to, which has a Rholloff rear hub. I was very impressed with how the gears work and the low maintenance for the hub, and the expected longevity of the chain. Finally got out on the Cotic and I love it... a 29" hardtail with 130mm forks is pretty much perfect for the XC stuff round here. Although I think the pedals clash with the paint a little. Personally, I wouldn't put anything other than Eagle on any new bike I was building. The 1x system with massive cassette gives you all the range you need and you can put the dropper control in a sensible place too. It's a bit more sensitive to set up (particularly the b-screw) than a 2x system but once you've got it dialled it's brilliant. Could I have some advice please. I'm spending more and more of my cycling time moving from road to off road and have been saving to buy a new bike. Having ridden a few friends bikes what I know I want is a hardtail 29er that will mainly be used for trail and XC. I wont be screaming down hills or flying through the air off big jumps. Are there any owners of the above here who could give me a view how they ride and are there any other brands I should be considering. My aim is to try and test ride a shortlist of 3-4 bikes if I can. Look at both Canyon and Giant. You can test ride the former at their open day 17th March, and again at the London Bike show the end of the month. In spirit of recommending what you ride then my Cotic SolarisMax would seem perfect! It'll take 29s or 27.5+ wheels, 120/130/140 forks. Absolutely perfect for hooning around the woods. £2600 gets you a pretty similar build to mine, just with a slightly better fork... which now I've ridden it a bit is the one area I wished I'd spent a bit more on. I've got the X Fusion McQueen with the basic damper, the Gold build on the Cotic site comes with a McQueen with High and Low speed Compression damping. £2k saves a bit on groupset and forks but you can use the website to configure what you need. Of the ones you mentioned, the new Santa Cruz is where I'd go next. The Identiti looks like a bit too much of a hooligan for long days out, more of a play bike. Can't get excited about the Orange Crush or Felt. If you're in the South East then Bird is another make worth looking at. Their new Zero 29 is worth a look... good value too and the guys at Bird are great to deal with. But who am I kidding... get the Cotic, they rock! If you want to try one then they do demo days - they have a demo van that travels up and down the country. Will be swapping the 10 speed SLX kit of my current 26" Nukeproof Mega for the time being until it wears out and then swap to 11 speed XT. Last edited by Chris W; 27th March 2019 at 13:41.